Spokane Guilds' School Kids for Kids Community Day Penny Drive is this Saturday, April 28 at 13 locations throughout Spokane County. This family friendly volunteer opportunity allows individuals to support and raise funds for the Spokane Guilds' School. With your support, the Guilds' School can continue to help children, ages birth to three years old, with developmental delays and disabilities receive much needed therapy services, regardless of their family's ability to pay. To volunteer and for more information, including the Penny Drive locations, visit www.guildschool.org/penny-drive. The city of Spokane is seeking public feedback regarding opportunities to reconstruct Sprague Avenue through the University District. This is the next project for Sprague Avenue. It will reconstruct pavement, sidewalks, and utilities. As part of the city's integrated project process, sewer, storm water, and water utilities will all be updated. The project boundary includes Sprague Avenue between Bernard and Scott Street. Pavement in this project was last repaired in 1985 and some utilities were installed over 100 years ago. This reconstruction project opens up the opportunity to rethink how Sprague Avenue serves citizens. Currently, the roadway west of Sherman Street has narrow travel lanes and parking and often times cars utilize the sidewalk for parking, obstructing the pedestrian path and creating unsafe conditions. The proposed options for Sprague Avenue will re-use the space of either a travel lane or a parking lane to widen the remaining lanes and sidewalk to create a better serving roadway and keep the sidewalks open and safe for pedestrians. Click here for an online presentation of the project that has images showing options and alternatives. There is a public survey at the end of the presentation. 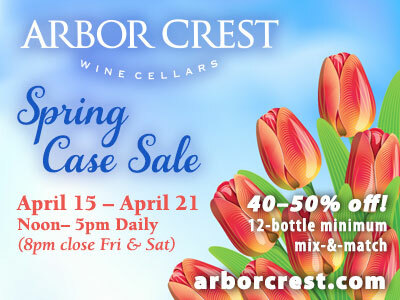 The survey will be open through this Saturday, April 28. 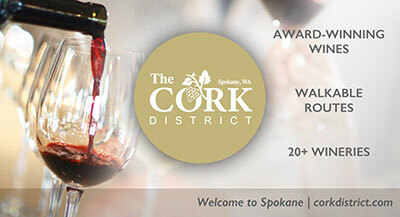 For more information, visit spokanecity.org. The Spokane Valley Chamber of Commerce is having an After 5 Networking event this Wednesday, April 25 from 4:30-6pm at Honor Point Military and Aerospace Museum, 6095 E Rutter Ave. This event will include complimentary appetizers & beverages, while networking with other Valley Chamber members and guests. You will also have an opportunity to get a sneak peek at the items for sale at Honor Point's 1st Annual Yard Sale. Honor Point Military & Aerospace Museum occupies a prominent site at historic Felts Field in Spokane and includes interactive exhibits representing aviation and military science. This event is free to Valley Chamber members, but you will need to RSVP, click here. Daybreak Youth Services, a nonprofit provider of adolescent addiction and mental health treatment services in Washington state, will hold its annual fundraising gala for Eastern Washington on May 4 at the Northern Quest Resort and Casino. 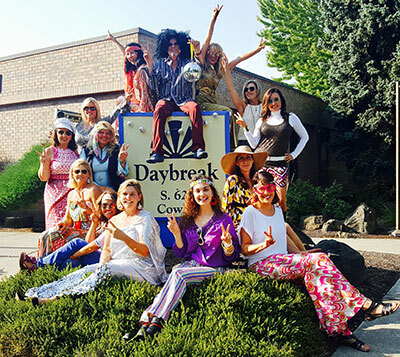 All proceeds from the '70s-themed 'Disco for Daybreak' will support the mission of Daybreak Youth Services, to promote involved, healthy communities by offering hope and recovery solutions to youth and their families struggling with addiction and mental health issues. The event kicks off at 6pm inside the Pavilion Ballroom at the Northern Quest Resort and Casino (100 N Hayford Rd., Airway Heights). It will feature a '70s-themed band, costume contest, dancing, a paddle raise and more. Tickets are available at www.daybreakyouthservices.org/DiscoForDaybreak. 1. $1,187.25 technology grant to North Idaho College Foundation for Phlebotomy Program equipment. 2. $20,000 education grant to Inland Northwest Blood Center for Cancer Awareness Campaign. 3. $12,000 education grant to Providence Health Care Foundation Eastern Washington for 2018-19 Medical Laboratory Science Program Scholarships. 4. $6,234 education grant to Lewis-Clark State College for six Phlebotomy Program scholarships for 2018-19 school year. 5. $6,150 education grant to North Idaho College Foundation Phlebotomy Program scholarships for 2018-19 school year. 6. $4,500 education grant and $3,500 technology grant to Community Colleges of Spokane Phlebotomy Program scholarships and equipment. 7. $8,962 education grant to Spokane Public Schools Foundation for Camp Crime Scene 2018 STEM Camps. Since its 2013 launch, the Blood Center Foundation of the Inland Northwest has funded $442,519 in 56 grants to eastern Washington and north Idaho organizations, including the Inland Northwest Blood Center. In 2017, the foundation also raised and donated $296,000 to the Inland Northwest Blood Center for the purchase of LifeSaver 5, a new custom-made bloodmobile. For more information, visit bloodcenterfoundation.org. This year's Valleyfest Auction will take place on Friday, May 4 at CenterPlace Regional Event Center, 2426 N Discovery Place in Spokane Valley. This year's Auction theme is 'Under the Big Top', a party, dinner and fundraiser for Valleyfest. Come dressed as your favorite carnival or circus character. Be the bearded lady, a clown, a carnival barker, the strong man, a trapeze artist or a fortune teller, be as creative as you can! The event runs from 5:30-9:30pm. For tickets and more information, visit valleyfest.org. Congratulations to Larry H. Miller Lexus Spokane. They have received the Elite of Lexus Award for 2017, recognizing dealers who excel in all areas, including sales, service, and overall customer ownership experience. The DeLeon family is opening DeLeon's Taco & Bar towards the end of summer in the former Chapala location at the corner of Hamilton & Nora in the Gonzaga neighborhood. The new 4000-square-foot restaurant will specialize in street-style tacos and burritos made with DeLeon's locally produced tortillas. They will offer daily specials as well as catering services, beer, tequila and more. Get more information at deloenstacoandbar.com.